True-Color™ adds stunning Full-Color graphics to our most popular cloth, the Ultra Opper Fiber®. Sets the standard for cleaning performance and a luxurious feel. 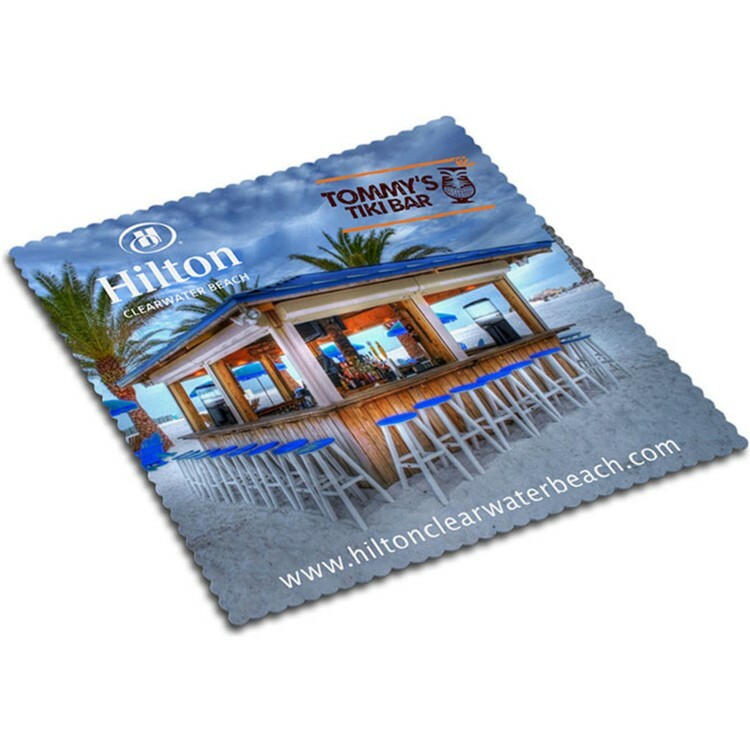 Add your custom imprint and use as giveaways, business cloths®, branding pieces and more! Decoration method: Full-color full bleed. Rush service available: Inquire. Multi-Color Spot Print: Quote upon request 2500 piece minimum. Setup fee for marketing card please call for details.